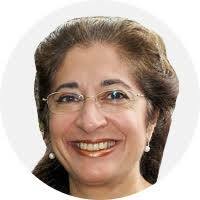 November 3—Bani Dugal: “The Equality of Women and Men: Divine Imperative for an Age of Transition.” Bani is the Principal Representative of the Bahá’í International Community at the United Nations. November 3—Hugh Locke: “Half the Sky, Half the Land: The Role of Women Farmers in Transforming Agriculture,” a General Assembly presentation. 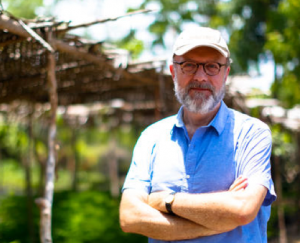 Hugh is President and Co-Founder with agronomist Timote Georges of the Haiti-based Smallholder Farmers Alliance. 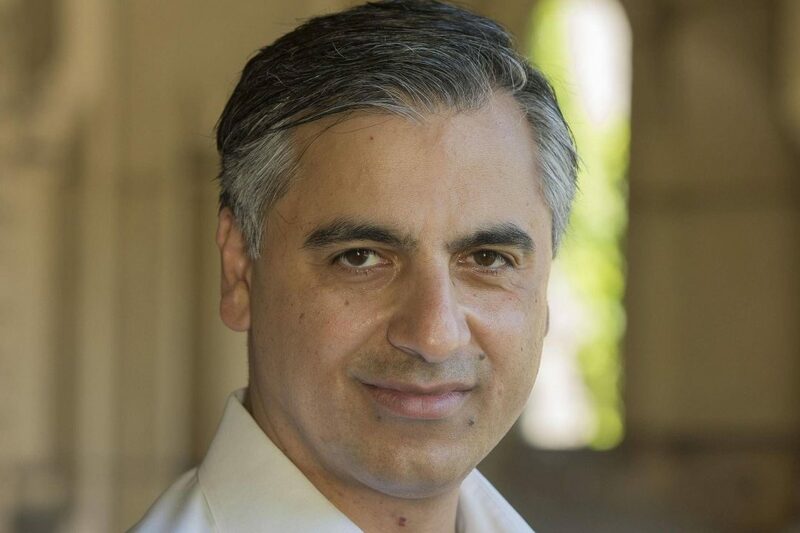 November 5—Payam Akhavan: Justice Assembly Panel Speaker on “Equality and Justice, Global Perspectives.” Payam is Professor of International Law at McGill University in Canada. Emily Wright: “Making Interreligious Chaplaincy Education Meaningfully Inclusive” and “A New Cup of Grace—A Ukulele Opera.” Emily obtained a Master’s Degree in Divinity, with a concentration in Interfaith Chaplaincy at the United Theological Seminary of the Twin Cities in New Brighton, Minnesota. She took a number of Wilmette Institute courses for her degree and opened the way for the Wilmette Institute to sign an Articulation Agreement with UTS whereby other students can take up to six Institute courses for their degrees. Hooshmand Badee: “Interfaith Peacemaking Perspectives from Across the World.” Dr. Badee, a college and university lecturer in economics and business managment, is a Wilmette Institute faculty member. Ted Brownstein: “Identifying and Overcoming Obstacles to Interfaith Dialogue” on the North American Abrahamic Engagement panel. 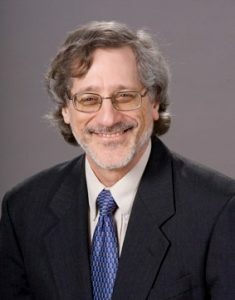 Ted, who holds a Master’s Degree in Biblical Hebrew from the University of Wisconsin, Madison, is another Wilmette Institute faculty member. Nader Saiedi: Presenting the new documentary film The Gate: Dawn of the Bahá’í Faith. Dr. Saiedi, Adjunct Professor in the Near Eastern and Languages Department at UCLA, has many publications including Gate of the Heart: Understanding the Writings of the Báb and Logos and Civilization: Spirit, History, and Order in the Writings of Bahá’u’lláh. 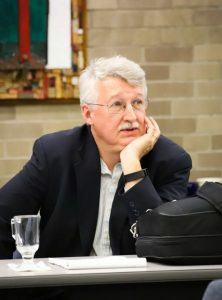 Paul Hanley: “Man of the Trees: Richard St. Barbe Baker, the First Global Environmentalist.” Paul, who is a much-published environmentalist and is on the faculty of the Wilmette Institute and has given a Wilmette Institute Web Talk, has recently published a book with the title of his talk. JoAnn Borovicka: “Amazing Faiths! 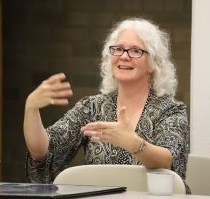 An Interactive Workshop on Interfaith Dialogue.” JoAnn, an educational consultant specializing in dialogue methods of education and a published author, is a Wilmette Institute Web Talk speaker and Institute faculty. Robert Atkinson: “New Thoughts in Interfaith Spirituality.” Dr. Atkinson, an internationally acknowledged authority on life-story interviewing, personal mythmaking, and soul-making and the author of nine books, has given a trilogy of Web Talks for the Wilmette Institute. Robert Stockman: “The Characteristics of Bahá’í Interfaith Dialogue.” Dr. Stockman is Director of the Wilmette Institute. He holds a doctorate in religious studies from Harvard University and is an adjunct faculty in religious studies at Indiana University, South Bend. He has authored four books on American Bahá’í history, one introductory textbook about the Faith, and numerous articles on many Bahá’í subjects. Candace Hill: “From Shiraz to Chicago: Bahá’í Women of the East and the West” on the panel called The Powerful Influence of Women Leaders in Christian Science, Bahá’í, and Islam. Candace is on the Wilmette Institute staff and is also an Institute faculty member. 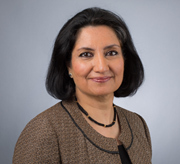 Sovaida Maani Ewing: “Achieving World Peace: Bahá’í and Catholic Teachings.” Sovaida, an international lawyer, independent scholar, and the founding director of the Center for Peace and Global Governance, is both a Wilmette Institute faculty member and Web Talk speaker. Jean Muza: “Bahá’í Civic Engagement: How to Maneuver in America’s Divisive Political Landscape.” Jean is a Wilmette Institute learner. 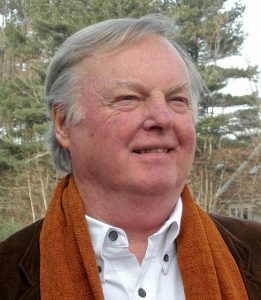 Robert Atkinson: “The Golden Rule as the Basis for a Global Justice System: An Interfaith Perspective with a Call to Action.” See November 4 for his biographical information. Edward Price: “The Divine Curriculum Concept as a Framework for Interfaith Inclusion and Love.” See November 5 for his biographical information. A Parliament of the World’s Religions Schedule and Brochure. For those wishing an overview of the Parliament’s many events, check out its page-at-a-glance program. For those wanting a graphic representation of the conference of religions, the Parliament has made available a colorful brochure, which you can print out and share with your friends. Live-Stream Video of Parliament’s Evening Plenary Sessions. With technology, it is possible for all of us to experience something of the magic of the Parliament, which is live-streaming a number of plenary (evening) sessions on the six tracks of the conference. Go to the Parliament website to log in. Wilmette Institute Facebook/YouTube Interviews. The Wilmette Institute will be interviewing Bahá’í speakers at the Parliament and plans to upload the interviews on the Wilmette Institute Facebook page and possibly on the Institute’s YouTube channel. The Institute also plans to put out a special issue (perhaps more than one) of News at a Glance as the Parliament gets underway; it will contain links to the Parliament’s plenary sessions and provide dates of and links to the many live webcasts the Institute will be recording. A New Look for the Wilmette Institute in Toronto. The Wilmette Institute decided months ago to invest in a new look for itself for the Parliament. At the annual meeting of the Association for Bahá’í Studies in Atlanta, Georgia, USA, in August, the Institute debuted two new pull-up banners almost 3’ wide and 80” tall. At the Parliament, the Institute will have a 10’ by 8’ pop-up display that stands 96” tall. It will also have a redesigned prospectus about courses for credit; a brochure listing all upcoming courses and information about the Institute; and stand-alone photocopies listing courses according to topics, such as World Religion and so on. 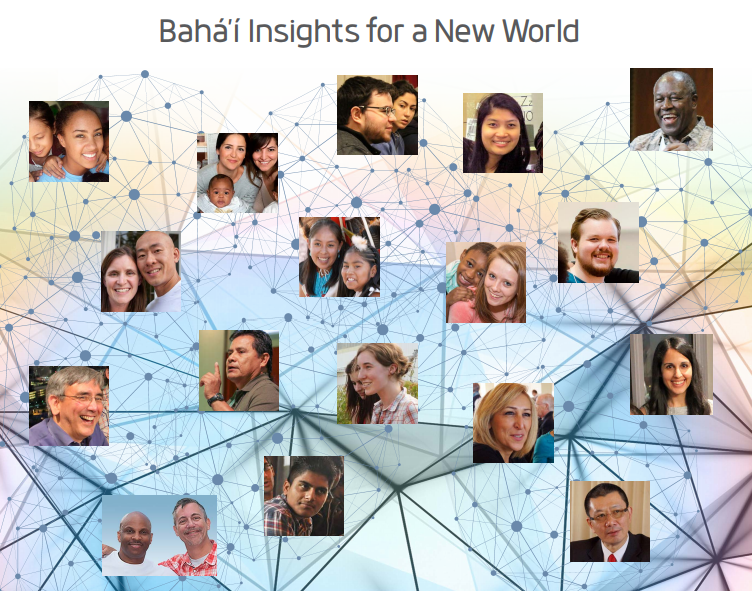 For Bahá’ís, there will be an attractive large-size postcard with the names of the six courses on the life and writings of the Báb that the Wilmette Institute is offering in 2019. Special Reception Honoring Book on Richard St. Barbe Baker with Foreword by the Prince of Wales. Paul Hanley, Wilmette Institute faculty and an award-winning environmentalist who has just published Man of the Trees: Richard St. Barbe Baker, the First Global Conservationist, is being honored at an invitation-only reception on November 6 at the Ontario Legislature in Toronto. It is hosted by her Honor, Elizabeth Dowdeswell, the Lt. Governor (Queen Elizabeth’s representative in Ontario, Canada), who is a former UN Under-Secretary General for the United Nations Environment Program. She hails from Saskatchewan (where Paul lives) and is an alumna of the University of Saskatchewan, where Richard St. Barbe Baker, in 1909, was one its first students. Paul’s new book has an introduction by Jane Goodall. But a main reason for the reception being hosted by the Lt. Governor is that the foreword to the book was written by HRH the Prince of Wales (Prince Charles). The Lt. Governor of Saskatchewan will hold a similar reception in Saskatoon on November 20. Man of the Trees was released in Canada on October 13, 2018. It is now available for purchase on Amazon and will be officially released in the United States and in the UK in 2019. ‹ A “Plan Ahead” Survey on 2019 Courses on the Báb: We Want to Know What You Think!